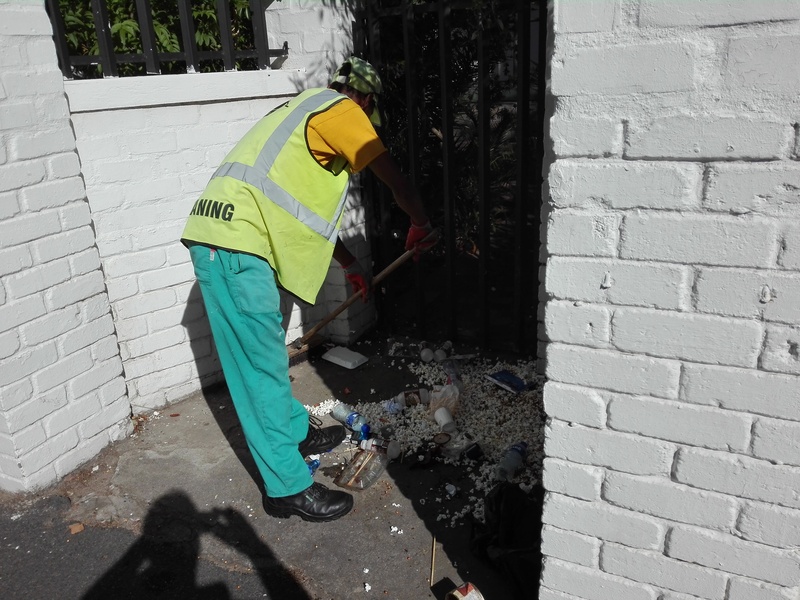 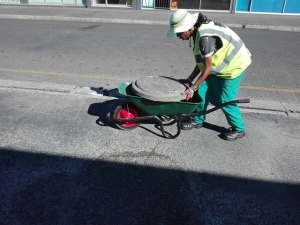 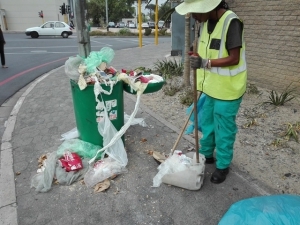 Although the cleaning team of the Somerset West CID consists of only three members, they certainly do a great job and make a difference. Manager Ernst van Zyl has appreciation for them and says he has good reason to motivate them to keep up the good work! 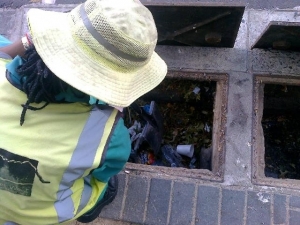 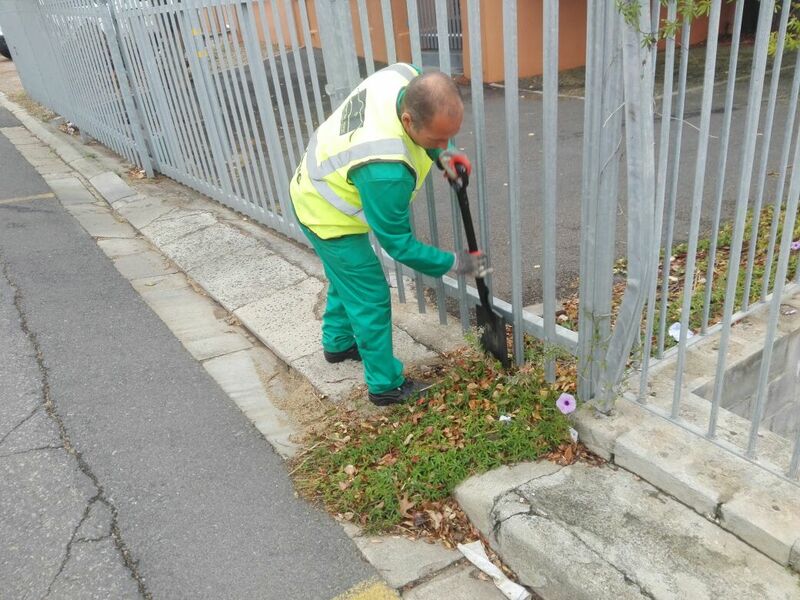 As part of our winter preparedness program we also regularly clean all the storm water drain in the SWCID area. 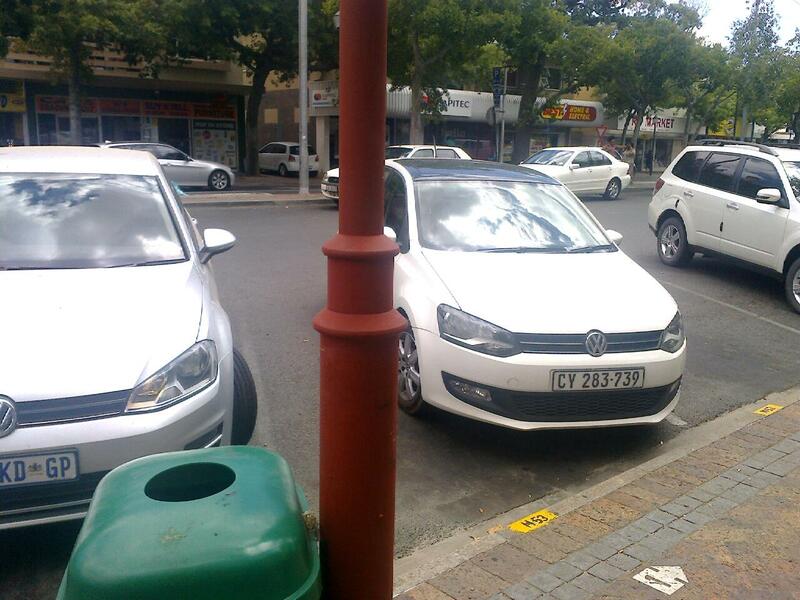 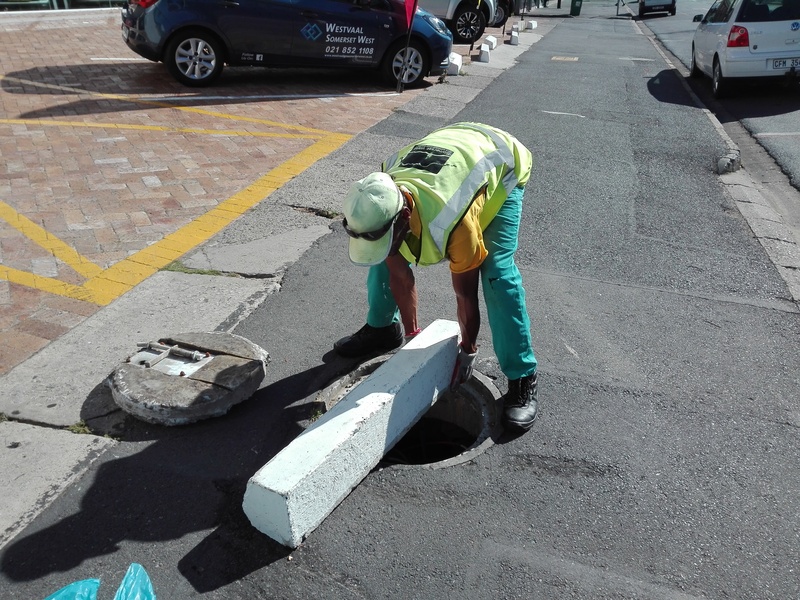 The SWCID Team also continues to repair and upgrade urban infrastructure in the area. 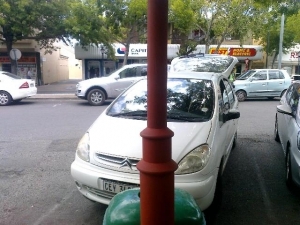 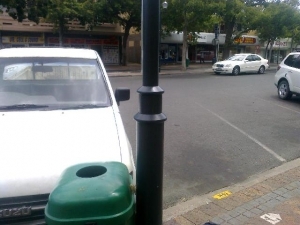 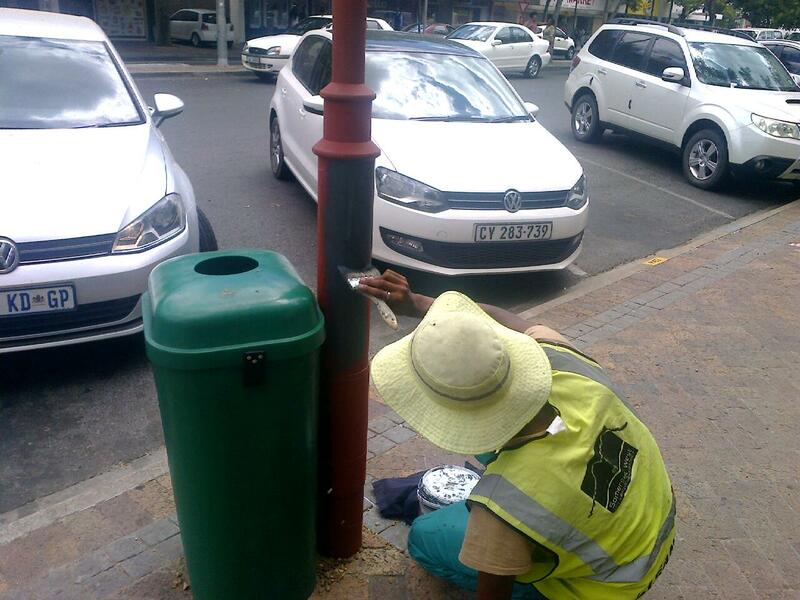 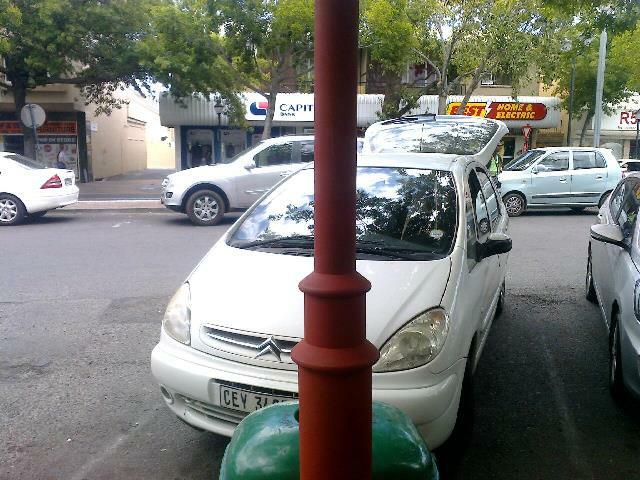 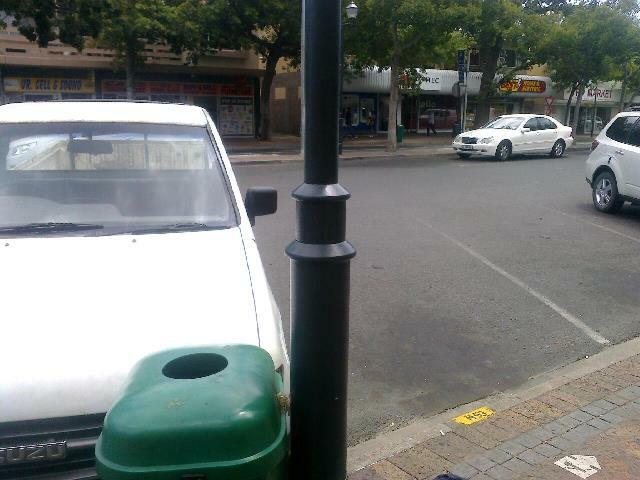 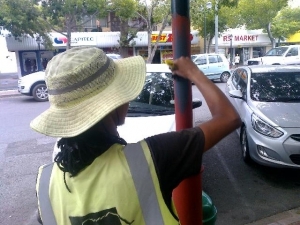 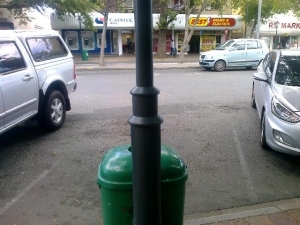 Last year we started with a project to clean, repair and repaint all the street lamp posts, bollards and public litter bins in the CBD. This project is now nearing completion and the results make the CBD look fresh and clean and well-maintained. 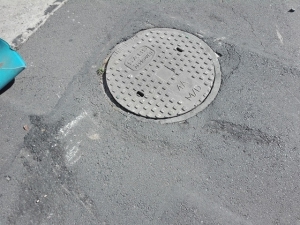 Making the SWCID sidewalks safe for pedestrians is critical – here an open manhole receives a new cover.